Or do you disagree? Well, we might just change your mind! 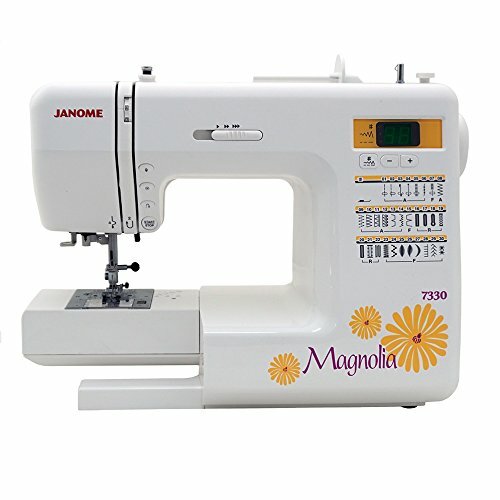 The Janome Computerized Magnolia 7330 Sewing Machine is of great use when it comes to fast output. It can be your best companion to sew quilts, tablecloths, clothes or pillow shams without getting defected under load. It comes with 6 one-step buttonholes and a lot of other features that are a must for present-day usage. If you’re looking for such a machine that can benefit experts and beginners, look no more! In fact, it works great with tedious sewing tasks too! So, read on this review and learn how the machine can be of great help to you. 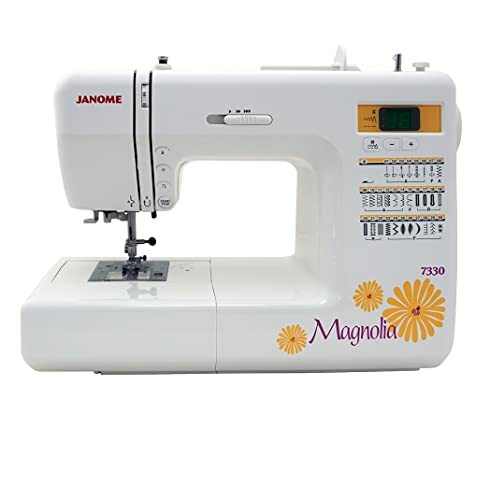 7 Janome Magnolia 7330: Where To Buy It From? Janome Sewing Machine Co. Ltd. is a Japanese brand which manufactures sewing machines. The manufacturing plants lie in Taiwan, Japan, and Thailand. 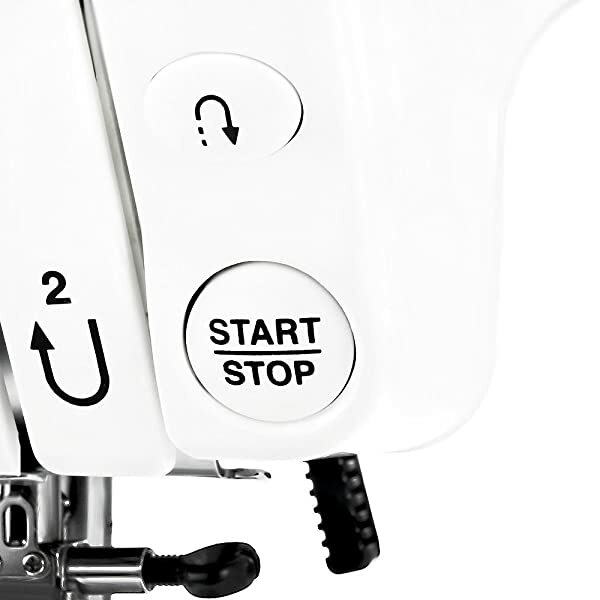 The name ‘Janome’ means ‘snake’s eye’ that was kept due to the appearance of the bobbin design. The brand has been expanded to over 100 countries and is now globally recognized as well. Janome is now among the best computerized and programmable sewing machines’ manufacturers. The Janome Magnolia 7330 comes with a very descriptive instruction manual. Maintenance of the device is easy and convenient. The race hook and feed dogs are to be cleaned after each use. This will ensure a proper working condition each time you pick the machine up for use. The head of the machine should be wiped with a dry cloth to make clean as the requirement comes. Meanwhile, a damp cloth is advised to be used once a month to clean the whole framework. Lubrication should be avoided very often. The machine comes with the oils that last long enough to aid a good working condition. Every year the device should be taken to professionals for inspection in order to have a smooth running experience long after the warranty is over. The 15 needle positions guarantee that the needle line up will be precise when required. This is a very important feature when the machine is in use to create zippers and cording. This is a very important feature when it comes to heavy fabrics. It is also very helpful for the creation of home décor projects. The 7 feed dogs work in coordination to provide a smooth finish to the fabric. This button comes in handy if you want to work without the foot pedal. This is commonly very helpful for automatic buttonholes and the process of bobbin winding. This machine can be converted into a free arm machine. This is helpful when sewing is to be done in circles such as for hems, cuffs or sleeves. 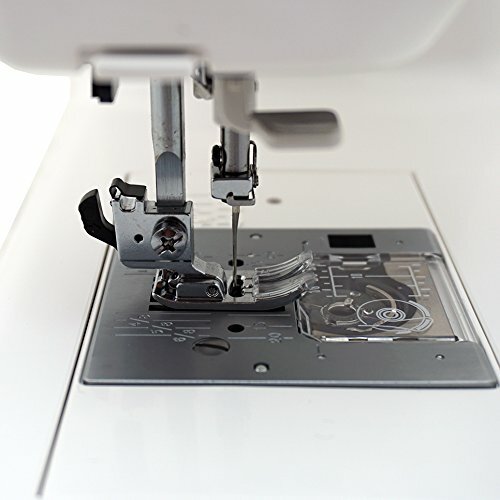 This feature is helpful to avoid unnecessary jams in the sewing process. It comes in handy for multiple-layered fabrics and gathered fabrics. The 30 stitches provide a wide variety of utility and decorative stitches. You can use them to pursue your creative skills. The machine comes with automatic sensor buttonholes. They help you in creating the perfect results. The machine comes with a stitch selection guide on the computerized LED screen. This can be used to adjust the length and tension of the stitches according to your need. You can also adjust the speed through the lever to get the desired speed you want to run your device at. 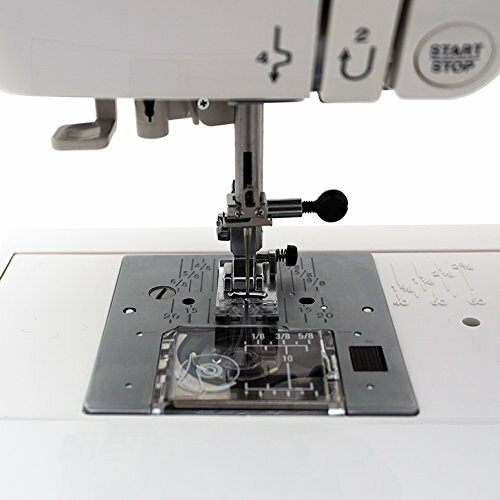 This automatic function helps you to needle your machine just within seconds. This button is at the front of the machine. 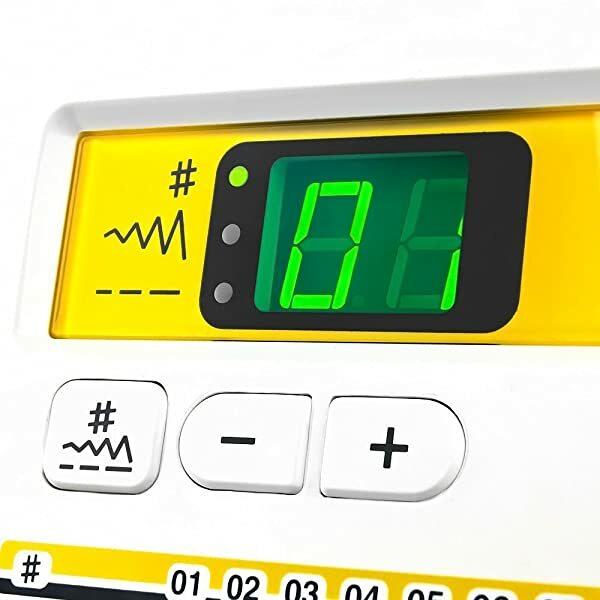 This controls the direction of your stitches in the same way, without causing you any difficulties. This button aids in sliding the needle to the highest as well as the lowest positions according to your needs. 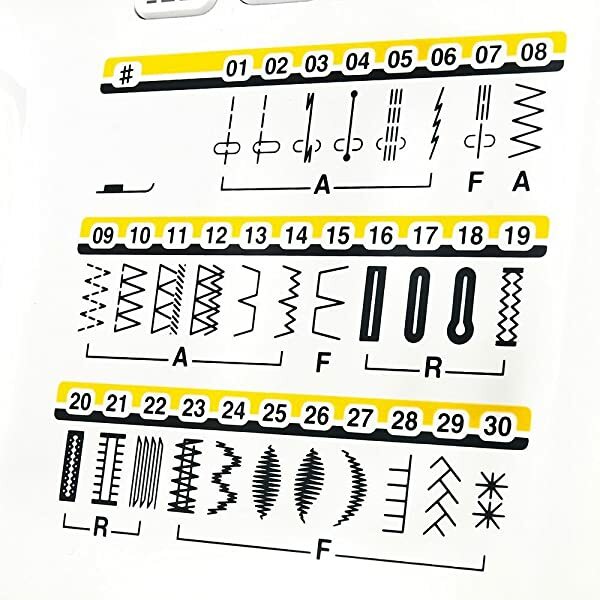 The on-board stitch chart not only displays the type of stitches present in the machine but also helps you with the type of sewing procedure you are supposed to follow. The auto-declutch bobbin system is the catch of this machine. This ensures you an easy and fast bobbin loading and reloading. It also ensures your bobbin is in appropriate place. 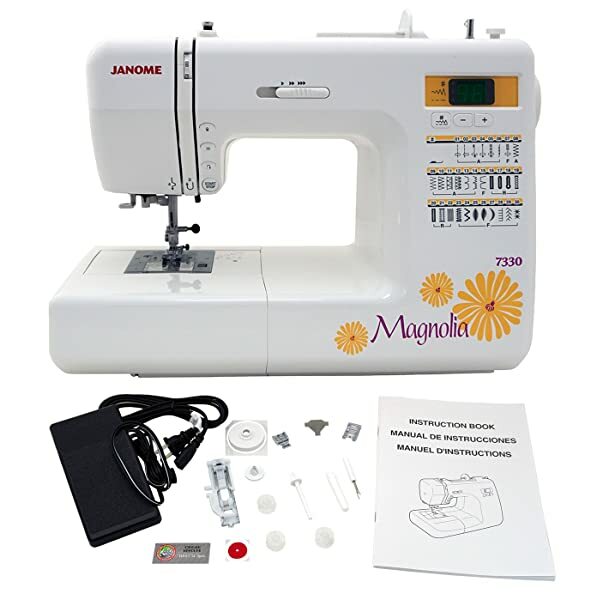 Janome Magnolia 7330 comes with a very promising warranty life. The warranty on the mechanical parts is of 25 years in total. Meanwhile, the electrical parts come with a total of 5 years of warranty. Lastly, they also provide an year of labor service. This starts as soon as you make the purchase. This machine can support various sorts of fabrics. In fact, you can put in upholstery and create your mastermind with no hardship. Equally important, fine fabrics like silk/taffeta/satin or velvet are also supported by this machine. Be it natural fabrics like wool/cotton/linen or medium/heavy-weight knits; this model supports them all. 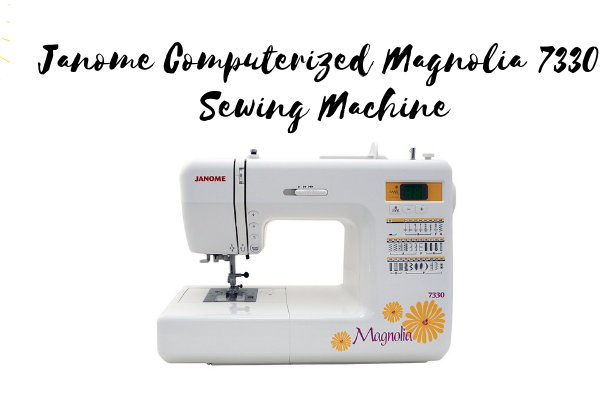 Similarly, you can create different designs from the Janome Magnolia 7330 on the basic level and the expert level as well. Not only this, but you can even put this machine to good use with synthetic fabrics like the rayon/polyester and blends. The machine comes with the comfort of being easy to operate by experts and beginners, both. Therefore, it’s a good choice to keep it at learning schools and homes. The stitch speed is controllable during the process. This makes the process very convenient too. The pressor feet come with high clearance too. The machine is overall very durable and reliable. This way, it can bear any sorts of workloads and high-duty fabrics. The whole procedure however, is very sturdy, and the powerful equipment ensures a fine finish to your creation. The machine comes with a large workplace. This is a very helpful feature when it comes to hard tasks like quilting. A larger working area also aids in keeping the workspace neat and clean. The stylish design makes it even fun to work on and own the device. Therefore, this machine is overall a good catch. The machine comes with overall very satisfactory features. It was hard to figure out what can go wrong with the course of time. However, the Janome Magnolia 7330 lacks a bit in the carrying side. It is not very easy to carry the machine or change its position. Now that there are machines that come with convenient carrying cases, this one could’ve as well. The model also lacks an automatic tension control system. This is something that an expert would overlook, but for beginners, this can be a sort of problem. Despite that, this is easily manageable with the course of time and expertise level. A very little issue arises when it comes to the number of stitches this machine is providing. Although, it’s a lot, compared to the present-day need, it’s still a bit less. 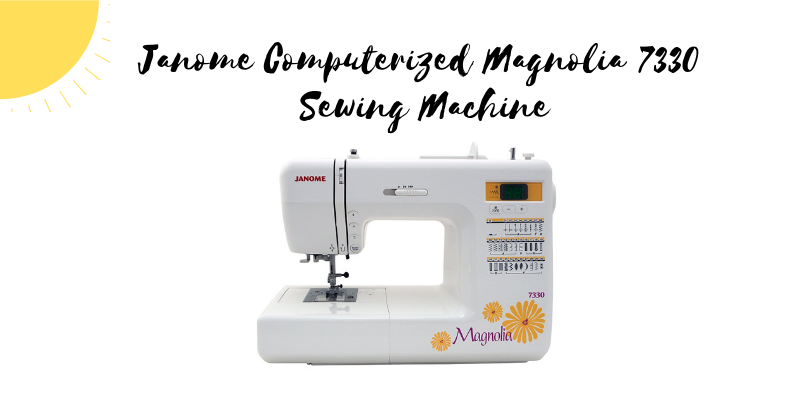 Janome Magnolia 7330: Where To Buy It From? Given the popularity of this machine, you can easily find it in local stores as well. Similarly, other trusted online stores will also have the machine in stock. To sum it up, we have tried to convey the most genuine piece of information for the Janome Magnolia 7330. Simultaneously, there are few things that must be circling your mind and making you worrisome. Other than those, the machine is overall a very nice product. We would definitely recommend you the model as the features are very promising. Not only that, but the machine comes with very relaxing warranty coverage as well. Also, Janome has done a good job in creating this product. We hope it suits your pretty sewing space too!